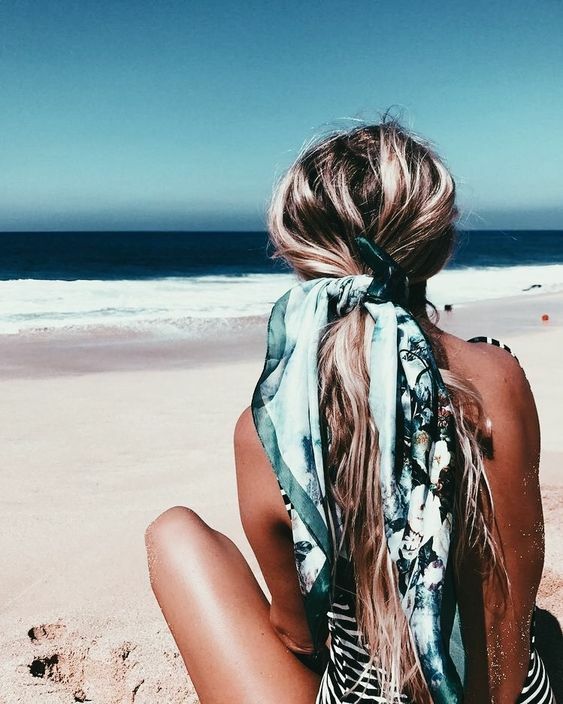 There is a hair accessory that Pinterest loves in a particular way: the scarf. And you will immediately have eyes in your heart, because for the warm season it seems the complement of which your locks need. It gives you a chic but casual air, you can manage it as you prefer, turning it into a hair band, a bandana or a bow for your ponytail. Or if you love braids, it will be the “lock” to fit between the others. The scarf is versatile, and, depending on your imagination, you can combine it with any style. There is only one small problem, but with our advice you can easily get around it. The fabric of which it is made, like silk, often tends to slip easily, especially if you have long, thin hair. If this is your problem, apply styling products that thicken and create more friction to keep your accessory in place. To give you further push, know that since 2018 the designers have re-fallen in love and on the catwalks, from Dolce & Gabbana to Armani, have brought him back into fashion, creating an afro, hippy look inspired by the ’50s mood. And for the stars too, it has been a must-have ever-present beauty. What are you waiting for to experience it too? Here are some ideas to understand how to bring it and adapt it to your spring summer style. This entry was posted in Beauty, Fashion, My World and tagged MY IDEAS FOR THE BEACH, MY PASSION, SARA DAL MONTE. This entry was posted in Fashion and tagged ITALIAN SANDALS, ITALIAN SANDALS HANDMADE, MY PASSION.